Mozambique is known as the land of milk and honey thanks to its glorious sunny and warm climate, its pristine white beaches and turquoise ocean waves. While the mainland coastline stretches more than 2000km between South African and Tanzania, Mozambique’s islands lie in chains off its shores. Start with the Bazaruto Archipelago, a smaller group of larger islands which is renowned for its deep sea diving, fishing, and rare marine species. There are only 5 islands ranging from the largest Bazaruto, then Benguerra, Magaruque, Santa Carolina and tiny Bangue. Benguerra Lodge – recently snapped up by a syndicate and given a makeover, this awesome island lodge is now managed by the well-known &Beyond team. Discover this rejuvenated destination laid out in traditional safari camp style with luxury villas flanking a central dining and living room. Enjoy private plunge pools, outdoor showers, chic colonial style décor and inviting glades for chilling away from the glare of the sun. Elegant traditional dhows ply the seas every day as you sit at the charming beach bar in front of the lodge – built from one of these dhows that are still used by local fishermen. Azura Benguerra Island- from budget backpackers’ hostel to barefoot opulence, this elegant setting attracts guests of higher caliber to enjoy its fine treats. The luxury of the lodge contributes to the lifestyle of the island people who rely on this kind of chic sustainable tourism. These people helped build the lodge from scratch and now have a school and other facilities funded by guests like you. Anantara Bazaruto Island on Bazaruto island – from budwhat a beautiful place to visit. If you thought there were only beaches and blue seas, think again. There is so much space on this larger island and in that space, you will find several freshwater lakes. See the pink flamingos, flocks of white-breasted cormorants, grey herons, pelicans, and wonderful great ibis. 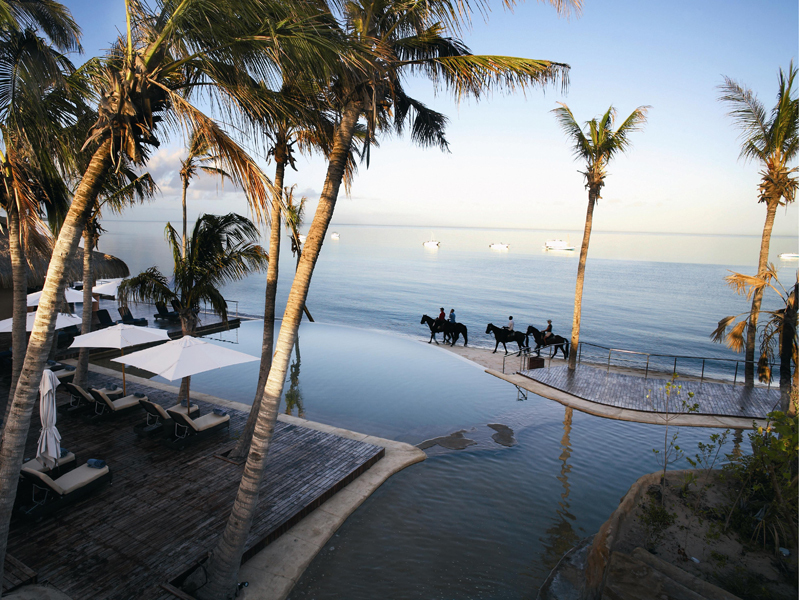 Book into the beautiful island accommodation at Anantara Bazaruto Island Resort & Spa and appreciate the luxury of all facilities including the mind-boggling views. Make the most of the large spa, the two swimming pools, bar in the swimming pool and buggies to get around on. Ibo Island Lodge– housed within three beautiful, historic mansions overlooking prime waterfront on Ibo Island in the Indian Ocean off northern Mozambique in the Quirimbas Archipelago, this unique resort offers a great destination for both families and romantic getaways. Rooms feature luxury furnishings of exquisite antiques, handcrafted furniture and carved wooden doors. 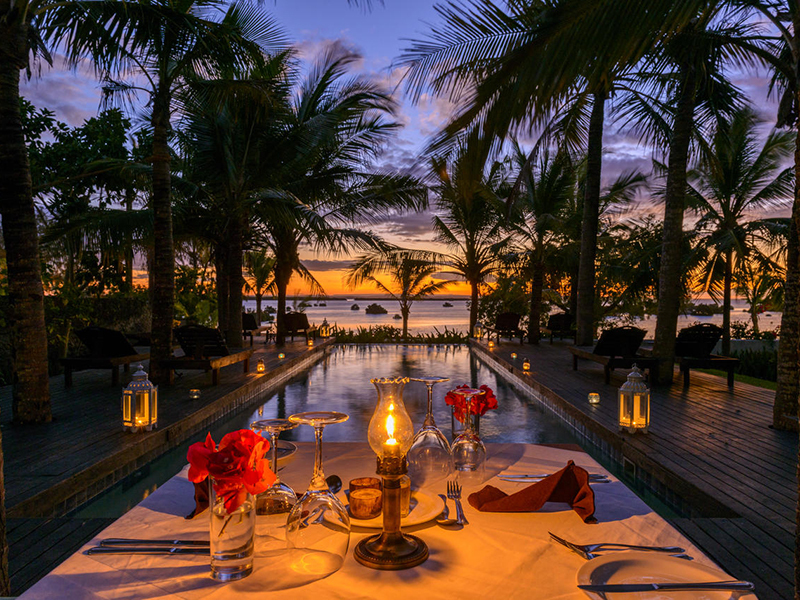 Delight in plush facilities at this award-winning island lodge such as the two swimming pools, hired the chef, private dinners and massages. Children will love their hands-on activities while adults indulge in historical island tours, boat cruises, mangrove excursions, fishing, hiking, and scuba diving. 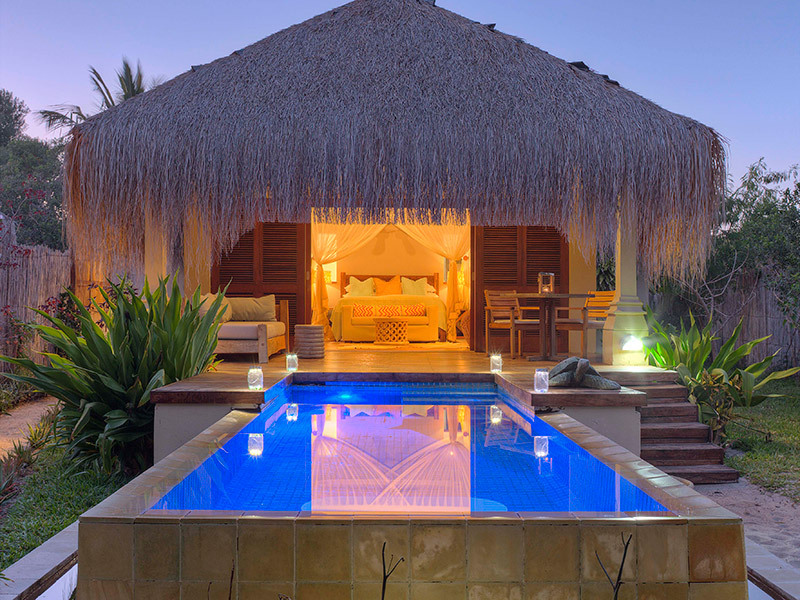 Jardim dos Aloes – Mozambique Island– this quaint accommodation on Ilha de Mozambique will please you as soon as you arrive. Feel as if you are visiting the home of friends as you enjoy the beautiful items the owners have collected and taken them up on excellent recommendations regarding where to eat, where to visit, and which day excursions to book. Or you can simply enjoy lounging in the cool shade in the courtyard to escape the heat of the day. Staff is all very friendly, the rooms comfortable and imbued with history and character. Learn about the special role of the Aloes that are growing around the house. Each room has its dose of aloe extract to be used generously during one’s stay. Each compote dish is mixed with aloes. 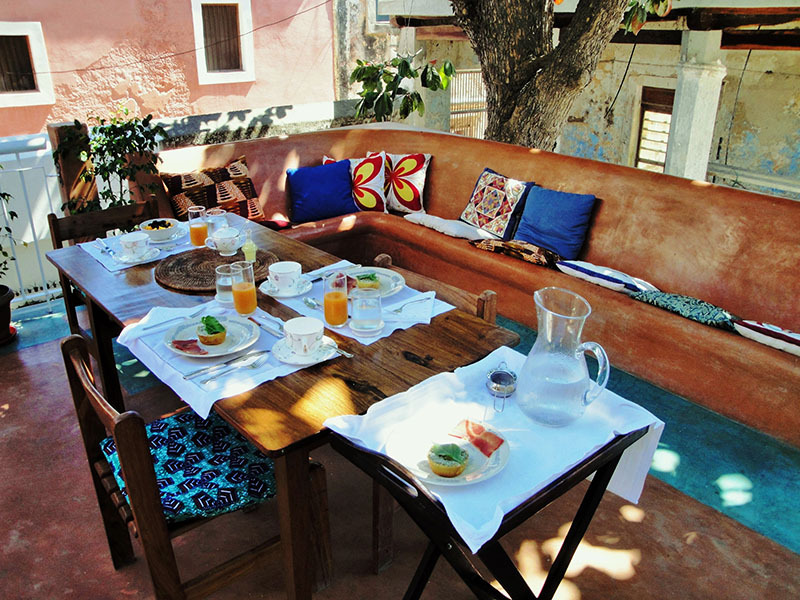 A stay at Jardim dos Aloes is a trip in itself, a trip within the trip. package deal for your needs and book your flights as soon as you can.